The Landscape of War and brigade history. 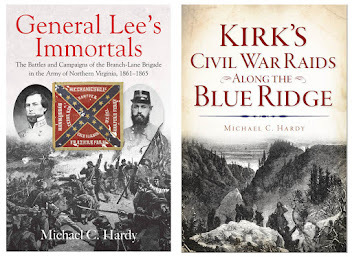 Lately, I've been doing some reading in the Landscape of War, and thinking about how I can incorporate this idea into a brigade history. How did the men in the Branch-Lane brigade "perceive their natural environment and their place in it"? (quoting Lisa M. Brady, author of War Upon the Land: Military Strategy and the Transformation of Southern Landscapes during the American Civil War). 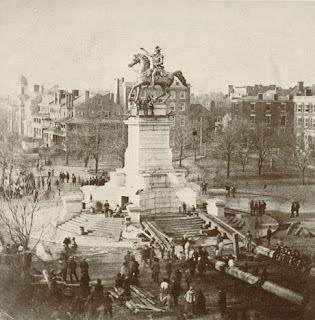 I am not at this time, however, so much interested in how a brigade transformed the landscape (which they did), but instead, how they perceived the changing landscape around them. In an essay on the subject, Megan Kate Nelson (The Journal of the Civil War Era, Vol. 3, No. 3, September 2013) writes that soldiers, in writing home, "sought to exert control over their lives by explaining the world around them to themselves and their loved ones." 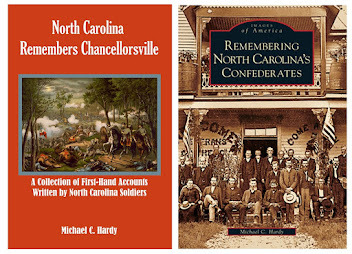 A great place to see a soldier explaining the landscape around him can be found in the letters of Bennett Smith, a member of the 37th North Carolina Troops. 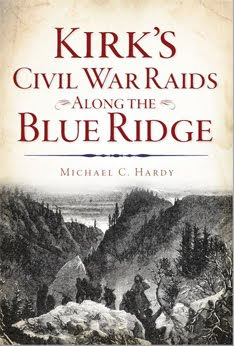 Smith was 25 years old and living in Watauga County when he enlisted on September 8, 1861. 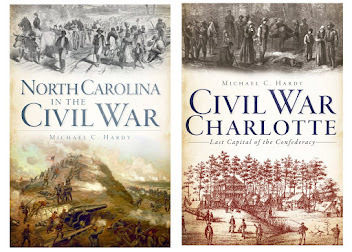 He wrote his wife Jane several times throughout his service in the Confederate army. It is unlikely that Smith had ever ventured far from his mountain home prior to the start of the war. Smith's February 24, 1862, letter is full of landscapes. "I hav sean a hep of curyous things," he writes. "this is a pore contry down hear it is a white sandy lan and jast as full of grean briars as it can bee[.] Smith added that "The water is bad hear I had rather drink out of them mud holes thare on Brushy fork[.]" Smith also mentioned the forts in the area and the Neuse River. Writing on March 6, 1862, Smith gives us a glimpse of another aspect of his changing landscape. "There is so mutch nois here Some eavnings here That I cant here them fire the canons at the forts[.]" Following the loss at the battle of New Bern, Confederate forces retreated to Kinston. "We hav a house to stay in now wher we are it is rite smrt toun" he wrote of Kinston on March 15, 1862. Water seemed to be a recurring theme for Smith - more so than in most letters that I have read. On April 13, 1862, at Camp Holmes, he wrote that "The water runs sloe down here & looks of a redish color[.]" Smith goes on to add "As to this being A helthey place I dont think it will it i to low and swampy[.]" through Virginia. "The part of Virginia that I come threw is a butiful contry Some of the pretiest farms I evry saw I think it will be helthy here their is mountains here the timber is gitting green[.]" Undoubtedly the Confederate capital was the biggest city Smith had even been in. "[Richmond] is a big place & Just any thing you want to sea you can sea nearly I saw the Statute of Washington he was siting on a horse Jest looked like man drest in milatery close... the nigurs was drest finer than the white people in Watauga...” Once again, Smith also mentioned water in this May 8, 1862 letter: "The water dont taist good it is cold a nuf it is Slait Stone water[.]" Smith was captured during the battle of Hanover Court House on May 27, 1862. He was taken to Fort Monroe and paroled at Aiken's Landing, on August 5, 1862. Smith was absent without leave from October 20, 1862, through mid-January, 1863. He probably made his way back home, and was able to tell Jane about seeing the Atlantic Ocean, Fort Monroe, and other sites. By January 27, Smith was back with the army, writing home and describing the breastworks at Fredericksburg. The plain in front of the breastworks was "2 miles" wide and "Just as level as a house flore..."
Smith wrote that he was ill starting in February 1863. His descriptions of his surroundings became fewer. For a while, he did nothing but "lay a bout my hut[.]" Of course, since Smith's part of the Army of Northern Virginia was stationary from mid-December until early May, Smith would not have had much news in regards to a change of scenery to commit to his letters. On April 7, Smith commented on the wind and mud, "the stickeyes mud I ever saw[.]" He goes on to comment about the health of the regiment not being good, partially due to the filthiness of the area and that "the water is not very good[.]" Smith set out with the 37th NCT when they headed to Chancellorsville, but was sent to the rear because of the problems with his feet. Bennett Smith's last letter home was written on June 18, 1863. Smith, suffering from "hydroxthrus" and/or "dropsy" was sent to a hospital in Lynchburg, Virginia. He thought Lynchburg "a very good place hear[.]" He had a clean bed and plenty of food. Smith died in Lynchburg on June 30, 1863. Smith left a dozen or letters, kept by his family, and thankfully, shared with me while I was working on the book on the 37th North Carolina Troops. He has provided us with some insight on how a mountain soldier viewed the new world opened up to him by the war. 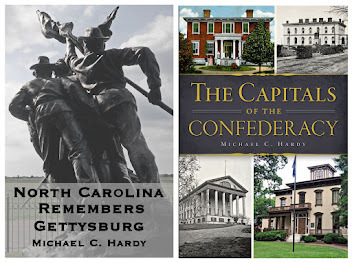 Nelson finishes her article by reminding us that "By seeing landscapes clearly, we gain new insights into the Civil War's many and varied histories." In my opinion, Smith's is one of the best. I just wish he had survived the war. What became of the Deserters? Often, I have wondered what became of the deserters who are mentioned in the regimentals that I have written. The majority came home (or overstayed their furloughs) and hid out, waiting for the war to end. A few crossed over and joined the Union army. But what became of those who deserted in battle or from a lonely picket post and went willingly in to the Federal lines? Often, these men were allowed to take the Oath of Allegiance, as long as they promised to stay up North. How did they survive? I've been reading an article by Brian Luskey entitled "Special Marts: Intelligence Offices, Labor Commodification, and Emancipation in Nineteenth Century America." 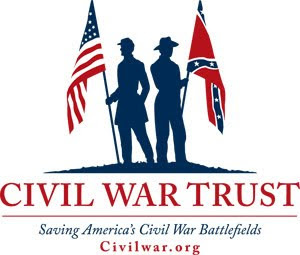 (Journal of the Civil War Era, Vol. 3, No. 3, September 2013). Luskey's essay is really about the Intelligence Offices in the North - not Intelligence as we think of the word, but offices in which people looking for work or people looking for employees could go, and for a fee, hopefully find whatever situation they were seeking, kind of like our job banks today. 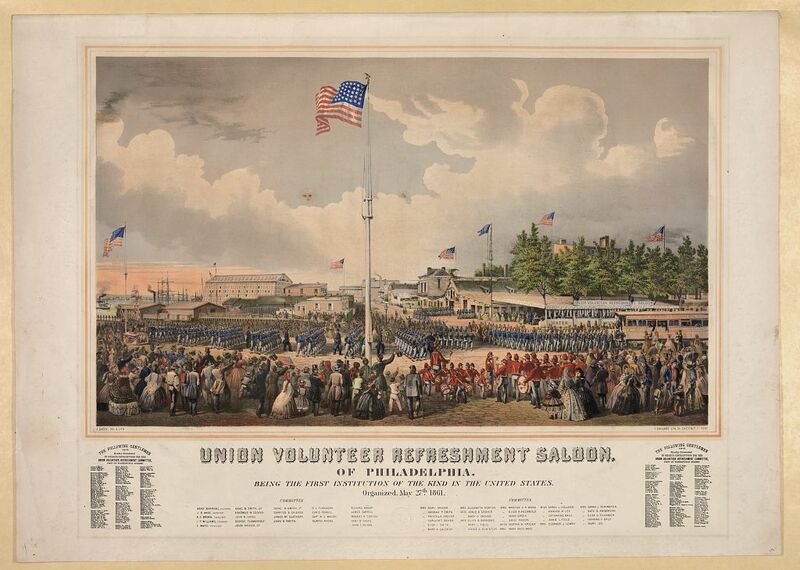 What really piqued my interest is the brief discussion on the Union Refreshment Saloon of Philadelphia. The Union Refreshment Saloon of Philadelphia had a clerk, Joseph B. Wade, who attempted to help Confederate deserters find jobs with employers looking for help on their farms, workshops, and in homes. While not mentioning names, Luskey tells us of two deserters from the 61st North Carolina Troops, who were recommended to work on a Gloucester County, New Jersey, farm owned by Joseph Cahaley. Cahaley was specifically looking to give a "permanent position" to one of the "deserting rebs" and offered to pay "fair wages." I wonder if Cahaley realized the value of a Southern farmer, or might have even been sympathetic to the plight of the soldiers. Or, he just might have been a kindly man. Luskey goes on to mention a Brewer of the 34th North Carolina who found himself looking for employment. Brewer worked for the North Pennsylvania Railroad. There were three Brewers in Company K. The most likely would be Hiram Brewer, from Montgomery County, who deserted on September 7, 1864, taking the Oath three days later. One of the references that Luskey uses is entitled "Notes on Refugees, Deserters, and Employment, 1864-1865," found in the Samuel Fales Collection at the Historical Society of Pennsylvania. I might just take a look at this the next time I am up in Philadelphia. Of course, these are just a couple of references. There were probably thousands of Confederate soldiers who found themselves in just such a situation. Tired of war, a deserter, and required to stay up North for the duration of the conflict. I wonder what their stories are? Not long ago, I was reading William C. Davis's Crucible of Command, a dual biography of Robert E. Lee and Ulysses S. Grant. It is a really good book, and I enjoyed it and would recommend it. Something caught my attention reading Davis's book. I'm sure I've come across it in the past, but I'm not sure where. On January 19, 1864, Grant proposed that Meade shift his army to Norfolk, and then move southwest and capture Raleigh. After taking out the rail lines in the area, including those as far west as Greensboro, Meade could shift to New Bern or Wilmington. This would force Lee out of Virginia in an attempt to defend the area. On April 9, 1864, Grant wrote to Maj. Gen. George Meade, commanding the Army of the Potomac. Grant's plan was to have the Army of the Potomac abandon Northern Virginia. Instead, the Army would land on the North Carolina coast and move inland, heading toward Lynchburg. Richmond could then be attacked from the southwest. Of course, we know that that instead, the Overland Campaign was launched. Neither of these "ideas" was ever acted upon. Of course, we know that Grant did eventually make it to North Carolina. On April 21, 1865, Grant was ordered to Raleigh to take over the negotiations regarding the surrender of the Army of Tennessee, from Sherman. Sherman had overstepped his bounds, meddling in civil affairs, at least according to the cabinet in Washington City. 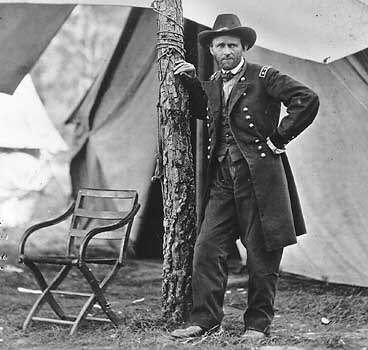 Grant arrived on April 24, coaching Sherman, and left a few days later, arriving back at his headquarters on April 28. As an aside, according to Jean Edward Smith's biography, there was an attempt on Grant's life while in North Carolina. The tracks were tampered with and only Grant's car did not derail. So there you have it - US Grant, the War, and North Carolina. Friends, I have two final engagements for the year. 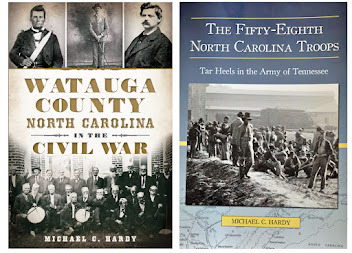 This Friday, I'll be at the Burke County Museum of History in Morganton for their holiday event. I'll only be selling books - not speaking. 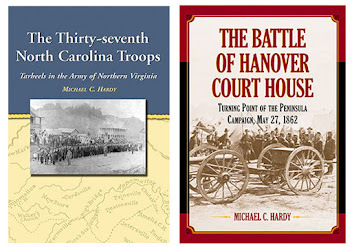 On Wednesday, December 9, I'll be at the Avery County High School, speaking about the War locally. I'm really looking forward to this event. It's been a very long year, and I'm looking forward to some time to just write!